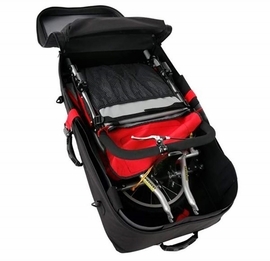 I love the quality of the stroller but want to get one with a swivel front wheel. I bought this stroller 3 months ago and couldn't be more pleased! We take it everywhere, our 9 month old son loves it. The only problem we have had is that we live in a climate with a ton of sand burrs. The stroller had two flat tires within a week of purchasing it. We ordered the thorn resistant tubes and haven't had any issues since. If you are on the brink, take the plunge and buy the Bob! You won't regret it! 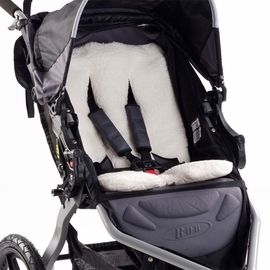 This is the best running stroller ever. We put thousands of miles on our first Bob and it still runs smoothly. Child #2 got treated to a new Bob and I imagine this one too will be used for years to come. My 7 year old can still curl himself up and ride semi-comfortably when he doesn't want to walk. We have the Sport Utility and sometimes use it off trail, but mostly on paved surfaces. It's such a smooth ride and very easy to adapt to. In fact these days I think my running posture is better with Bob than without! I bought this stroller when I found out I was pregnant. After using 2 times, I bought a new stroller. This stroller is absolutely impossible to turn (and my baby is only 8 pounds). Right tire was already flat after the 2 uses. I did purchase another BOB (Revolution model) since we had already purchased all the attachments for the travel system, but wish I hadn't wasted $320.00 on this stroller. It's perfect for me and my little daughter - I travel a lot, even to the mountain paths. Twice a week I do jogging on the and forest paths :). 5 stars for amortization. Bought this stroller last year, use it almost daily to walks and hogs around my block. We live in New Hampshire so we also use it for hikes, fairs, and the beach. Let me tell you I load that stroller up with the kid, cooler, chair, bag of toys, towels, sun tent and beach bag and it is a TANK pushing through the sand. It has never gotten stuck. This stroller is by far the best stroller out there. My only stroller in almost 3 years! I bought this stroller when I was pregnant knowing I would continue to run after our daughter arrived. I looked at all of the travel systems, umbrella strollers, and other non-Bob strollers, but thought I'd just go with the one and buy another if I found I needed to. I've never ever needed to! My Bob stays in the trunk of my car and I seriously use it at least 6 days a week. Most of our mornings we are either out on a run, walking with a friend or taking/teaching a stroller strides class. We use it at the zoo, the mall, it's gone on the airplane with us and strolls to the park or grocery store. We just have never found any reason to buy an additional stroller in almost 3 years! I LOVE it! Bought this and use everyday could not have a better stroller it's worth every penny!! 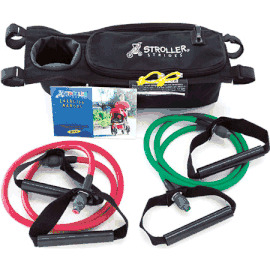 We got ours about a year ago and use it almost every day for our family walks and jogging (when weather permits). I'm on the shorter side so it's a little tough for me to turn, but it's perfect for my husband. We picked up one of these used, and we'll be using it regularly on the beach. It's built like a bicycle and should last for many more years - very solid. I wouldn't recommend this model for shopping, mall, etc. 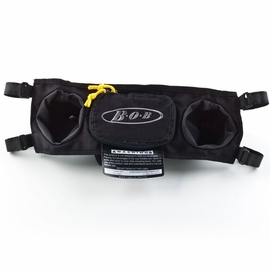 - it's a bit tough to maneuver in tight spots and isn't small, but it'll get the job done. It's perfect for any terrain and easy to turn! This was purchased as a gift.But I believe our daughter loves it. She also purchased the rain weather gear.Her baby is just 5 months so will be getting many miles in it.I really would have liked it in ALL BLACK-but blue was next best choice. This stroller is very robust which is why I bought it. It is much bigger than I had had the impression of when I found it online. My daughter is 19 months and tall - but she can't reach the footrest. The size makes it less convenient in public transportation. Besides that it is a good stroller and I had it for a good price. 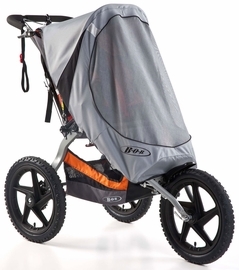 This is my first BOB stroller, but being an avid mountain biker I have been familiar with the brand for some time. 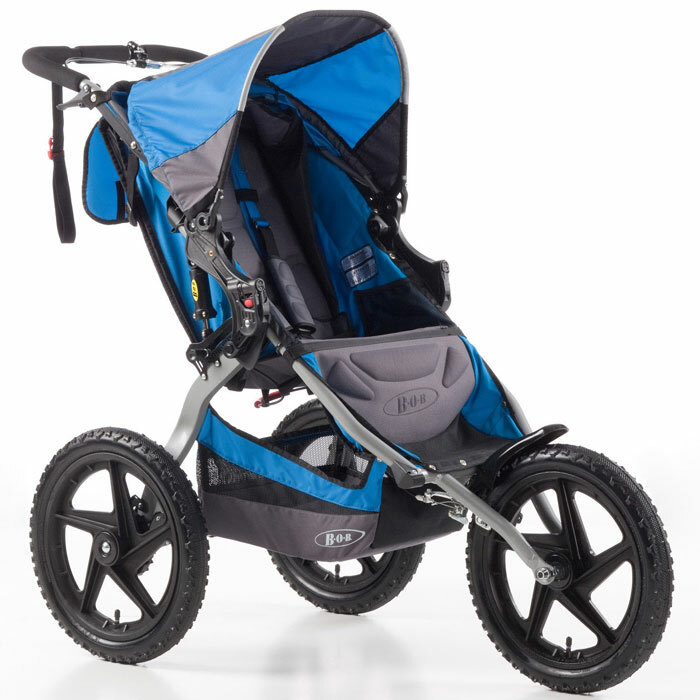 The quality of the BOB Sport Utility Stroller is flat out amazing especially considering the price (on top of that. Albee Baby has the best price anywhere, making it a true steal). The stroller is really simple to assemble. and has worked very well so far.I did upgrade the tires to full mountain-bike knobby types and custom installed a bicycle odometer ... we've got about 75 miles on it now. People tend to think this stroller is hard to turn. Well, yes in certain situations it can be, like when you are stopped on very grippy terrain. But this the thing that people overlook is that this really is more the model you use for running on uneven surfaces as opposed to one with a swiveling front wheel. Another thing that swayed me to this one is I wanted this one due to the 16" front wheel which allows it to roll over obstacles more easily compared to the 12" wheel. 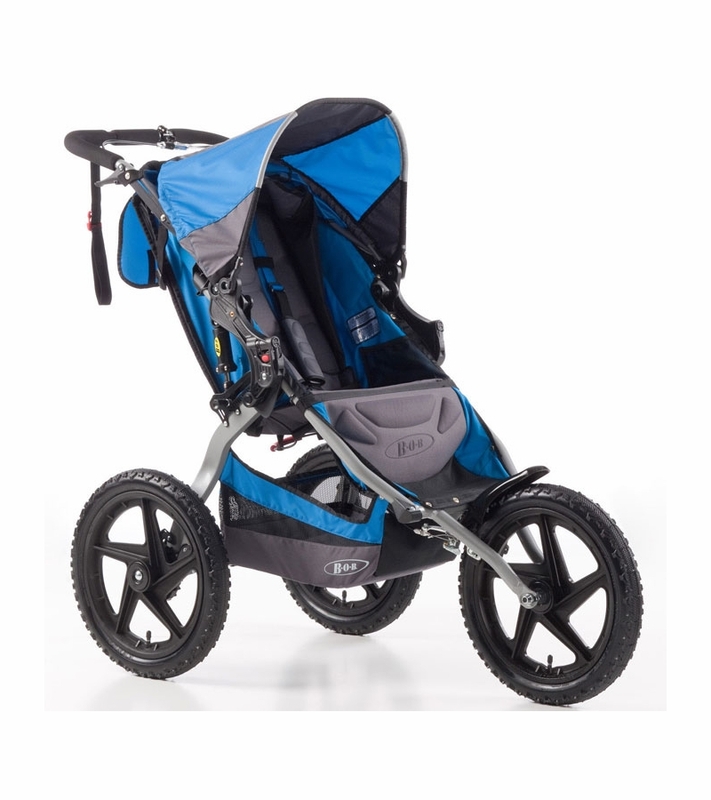 Whether you are walking quickly, jogging or running flat out, this stroller turns with light pressure. It also is STABLE at running speeds over sidewalk cracks and the like! This stroller wants to naturally stay on track, so managing that while exercising with this unit is easy. One other thing about the turning (sorry to beat it to death, but from my research this was the main topic of comments)- my child is three months old and uses the carseat adapter. This places a much higher amount of weight on the front tire which adds to the turning difficulty. Although it doesn't bother me, I am looking forward to seeing what the Bob Sport Utility Stroller handles like when my son is not in the carseat adapter and actually sitting in the stroller.I'm 6'1" and about 190lbs. If you are very small or not very strong, or just want a stroller that takes zero effort to turn, the BOB stroller with the the movable front wheel might be a good option for you. The weight capacity on this stroller is 70 pounds.